Two of the most beautiful musical minds currently creating have released an unsurprisingly gorgeous cover of one of the greatest songs ever recorded, by one of the most beloved duos of all time. Simon & Garfunkel’s popular Bookends cut, “America,” seems an appropriate song choice–minus the young lovers aspect originally intended–given the Swedish sister duo’s current US tour outing. However, this is actually a track they’ve been playing live for some time now, just finally releasing a proper studio version for fans to enjoy. 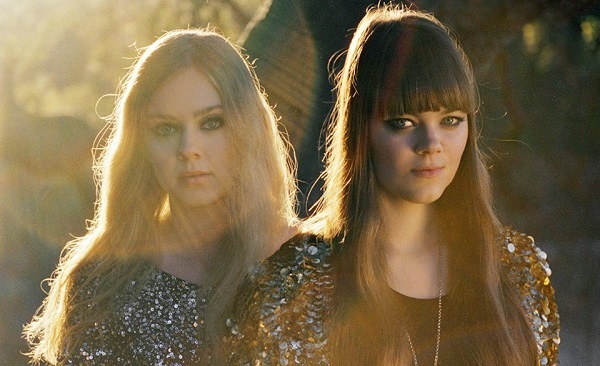 First Aid Kit don’t reinvent the 1968 release necessarily, but they certainly update it, making it their own with the haunting dual vocals that only they are capable of producing with such overwhelming results. You can stream the cover below via its accompanying video and check the band’s website for their upcoming tour dates. They’re currently wrapping up the US leg before heading back to Europe where they’ll be playing continuously well into 2015, followed by some stops in Australia. NOTHING like Simon and Garfunkel! This drivel could never even come close!! !